>> Duplo Legos for Kids: How to Play and Learn with It? 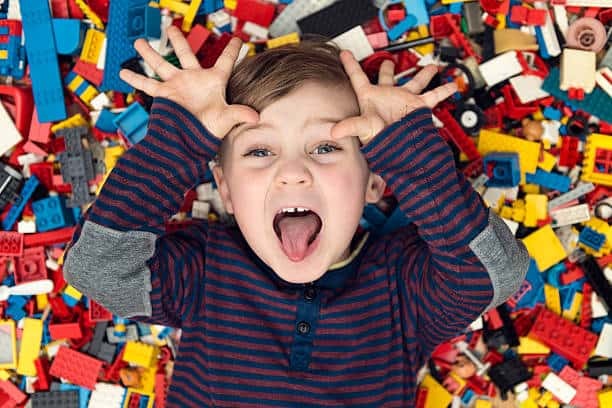 Keep your little one occupied with some Duplo Legos and they'll love you for it! These interesting bricks and play set combos have been in existence for more than 80 years and they continue to give kids hours of creative and exciting entertainment – even in this digital modern age. For toddlers, there are larger Duplo Lego bricks which are very nice. Building and construction for children is fun play and provides a learning opportunity. As they build, kids get to utilize and develop: their fine motor skills, hand-eye coordination, thinking skills (like planning and solving problems), creative thinking, their vocabulary, understand mathematical operations, vital life skills (like perseverance during building challenges) and finally, learning skills. Duplo Legos is definitely among the most popularly used building toys for toddlers and preschool kids. 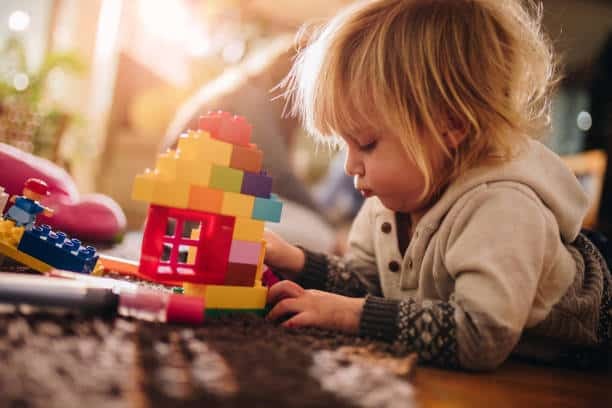 This does not come as a surprise because playing with Duplo Legos gives kids loads of opportunities to develop vital skills as seen earlier. The Duplo Legos are very durable and versatile because pieces from each play set can be easily mixed and matched. They are suitable for creative and open-ended play. It is definitely very easy and fun to play with Duplo Legos. 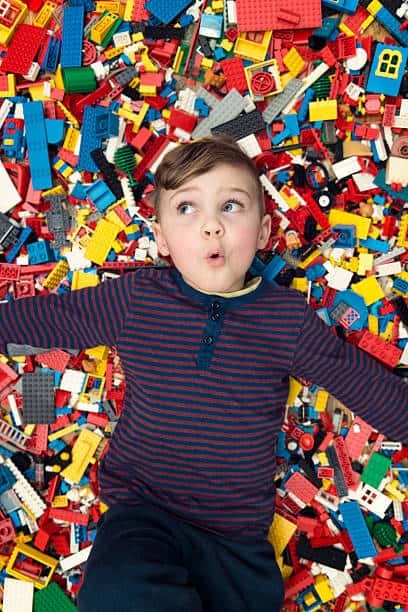 Below we show you some of the ways in which your kids can play and learn from Duplo Legos. The ideas are suitable for both preschoolers and older kids. Duplo Lego is a shareable play item and its open-ended nature makes it easy to leave children to it. Here are several ways in which kids can play with these items. Duplo Legos play toys introduce small kids to many imaginary and real-life situations. Kids can engage in pretend play and have conversations between the characters. This sort of play is a lot of fun. Duplo Legos encourage kids to develop their social skills by learning the art of sharing, taking turns, being patient and growing their vocabulary. To do something different, you can play guessing games with a number of the Duplo Lego pieces in your play set. For instance, you can blind fold your little one and ask him to identify the Duplo Lego pieces in a certain container by using his sense of touch. Your child will be filled with excitement. Kids can play in pairs in this game. It helps them to develop communication and cooperation skills. You can start by dividing your Duplo Lego pieces so that each participant gets an identical number of 10-15 pieces. Each of the participants sits on opposite ends of a table and set up a big box, book or another kind of barrier in the middle of the table. The barrier is set such that one participant cannot view what the other is doing. The first participant creates a structure using the Duplo Lego pieces; the second participant should not see what is being done. The first participant then gives the second one a sequence of verbal instructions, so that he or she can recreate the same kind of structure. It is quite a lot of fun to compare the end results. This game is great for small groups of kids. Start by dividing the Duplo Lego pieces so that all the participants have 10 pieces. Tell the kids to sit with their backs facing each other and give them a few minutes to build a creative thing with their pieces. When the time is finished, tell them to turn around and compare what they've constructed. Also, you could give each participant more pieces and challenge them to construct a more specific item. Make your challenge simple or difficult according to the ages of the children. To construct a one difference train, every piece in the train should be different from the preceding one by just a single characteristic (shape, size, color and pattern). Duplo Legos are great activities for practicing early measurement. All you need to do is give your child the challenge of calculating the dimensions of a set of common household items using Duplo Legos as the measuring tool. Use pieces that have identical sizes and join them together to form a tower that looks like a ruler. Then use this tower as the measuring tool. You can also task older children to estimate the dimensions of the object in Duplo Lego pieces before they measure them. Winding up, these are great pieces of healthy entertainment that generations after generations have known. And these very bits can benefit your next too.